Malaysia’s newly elected Prime Minister Dr Mahathir Mohamad claimed there had been attempts to buy over Warisan’s elected representatives, leading to the imbroglio in Sabah yesterday. He said it was “unfortunate” how the chairperson of Harapan’s ally Warisan, Shafie Apdal, had been barred from presenting his party to the state governor as the winners of the election. “Until now, they have blocked Shafie from getting to the (state) governor to get himself recognised as the winner in the election, and therefore as a candidate for the chief minister position. “This is very unfortunate, because I know that Shafie has tremendous support from the people wherever he goes. “[…] Now, there is an attempt to buy over some of the winners so that the previous government and (previous ruling) party can set up government,” he said at his first press conference after being sworn in as premier last night. It was earlier reported that Parti Solidariti Tanah Airku (Star) had joined BN to bring their total seats won to 31, breaking the tie with Warisan to get the simple majority needed. Sabah’s incumbent chief minister Musa Aman has since been sworn in for his new term. This is despite protests from Sabahans against BN taking the state. Mahathir also highlighted how votes and seats won by Warisan had seemed to reduce with each recount by the Election Commission (EC) on polling day. 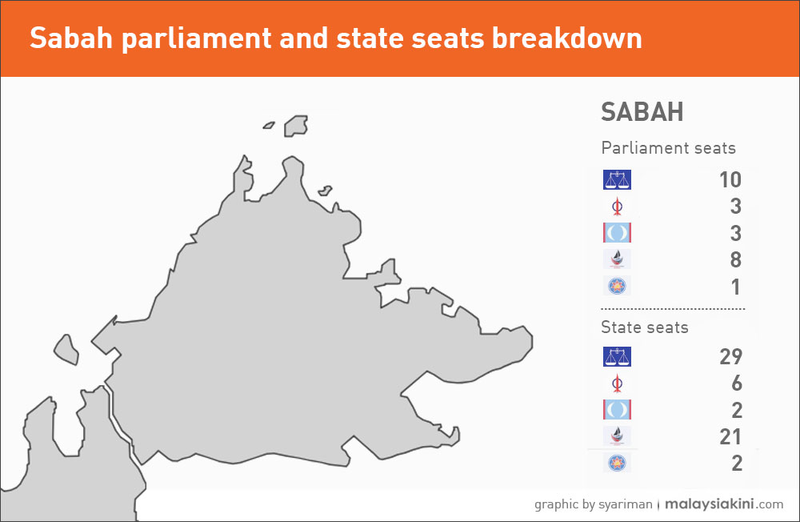 “During the first count, Warisan had 32 to 33 seats. “But when they recounted and recounted another time, the figure came down to 29,” he claimed.